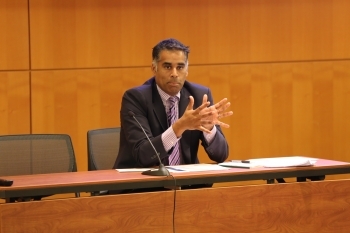 On May 12, 2014, Deputy General Counsel, Justin Antonipillai and CLDP led a workshop on insolvency for over 30 UAE commercial court judges representing four of seven emirates, hosted by the Institute for Training and Judicial Studies (ITJS). The purpose of the workshop was to outline the role of the judiciary in the fair and expedited adjudication of bankruptcy cases, and share best practices to ensure equitable outcomes. 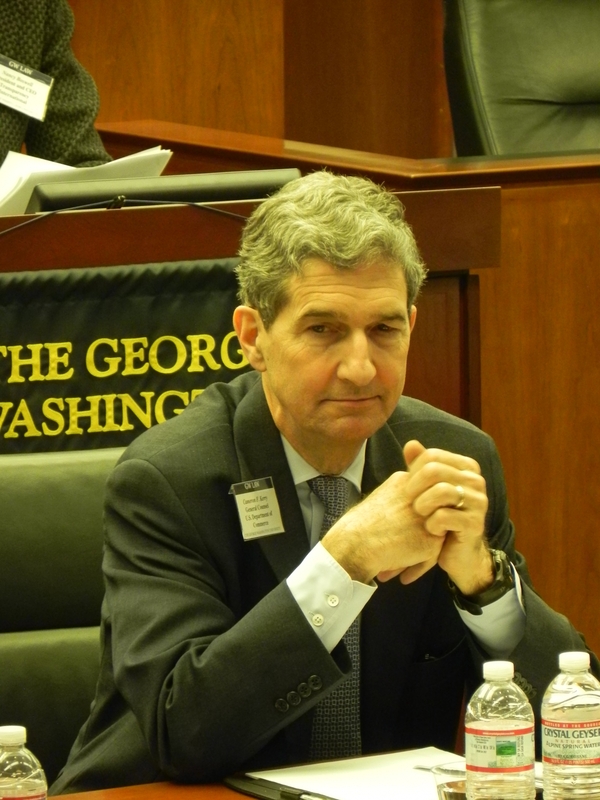 CLDP expert Don De Amicis, the former General Counsel of the Overseas Private Investment Corporation (OPIC), provided input throughout the proceedings. Afterwards, Deputy General Counsel Antonipillai met with the UAE Minister of Justice, His Excellence Dr. Hadef Al Dhaheri along with the US Ambassador to the UAE, Michael Corbin. During the meeting, they discussed the upcoming CLDP commercial law-training program for UAE judges in the US as a necessary step in improving business and trade in the region in particular for US companies. On May 14, 2014, Deputy General Counsel, Justin Antonipillai, led a commercial law liberalization workshop with Bahraini Parliamentarians, Shura Council members, and private sector leaders. The workshop, co-hosted by the Bahrain Chamber of Commerce & Industry and Ministry of Industry and Commerce, was the third in a series that provided in-depth training on insolvency law discussing restructuring strategies and Bahrain’s long-term commercial growth opportunities. Deputy General Counsel Antonipillai’s meeting with the Minister of Industry and Commerce, His Excellency Dr. Hasan Fakhro, as well as representatives from the private sector and civil society organizations, bolstered relations following the Secretary’s recent visit to the region. Celebrating diversity in the workplace is important to the United States Patent and Trademark Office (USPTO). General Counsel Kelly Welsh joined USPTO General Counsel Sarah Harris in celebrating the USPTO’s 17th Annual Community Day. 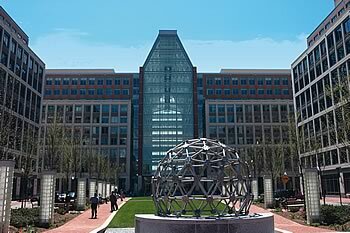 Annually, the USPTO hosts Community Day to rededicate the importance of diversity and the impact it has in creating innovative approaches in client engagement, team building, and better work product. The event brings the community of the USPTO together to show not only how they differ in individual backgrounds and lives, but how they can come together to form the greatest intellectual property community in the world. General Counsel Welsh also met with the USPTO’s senior leadership, legal chiefs, staff attorneys and support staff. After meeting with USPTO staff, an official program commenced with reflections by Deputy Under Secretary of Commerce for Intellectual Property Michelle Lee and Mayor of the City of Alexandria William Euille. Following the program, the community set up booths discussing their organizations and a food fair for the public. 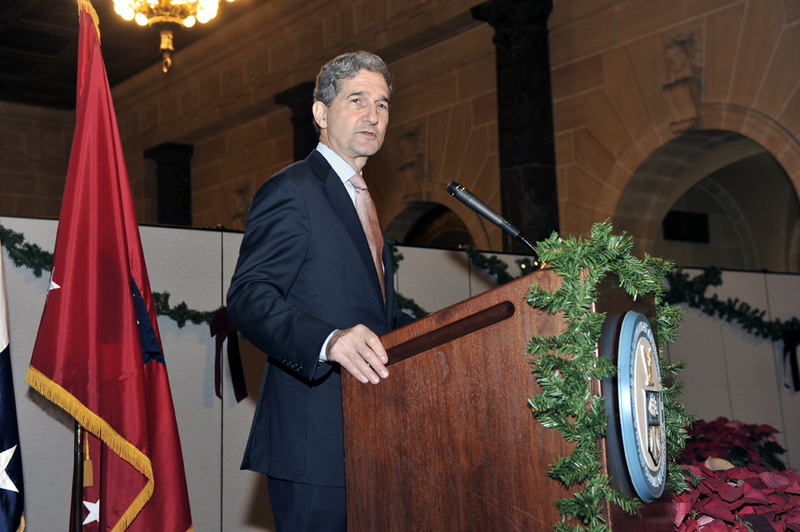 On Thursday, December 6, 2012 General Counsel Kerry presided over the Office of General Counsel Annual Awards Ceremony. He was joined by Acting Secretary Blank who delivered remarks, thanking the office for their tireless work over the past year. The Acting Secretary acknowledged the great assistance that the office’s attorneys and support staff have provided to her and the entire Department of Commerce. General Counsel Kerry detailed the broad range of accomplishments achieved by the OGC office over the past year. He highlighted the successful litigation of the GPX case and efforts to move legislation through Congress as a result. He also applauded contributions to various other litigation, legislation, reforms and regulation matters handled over the past year by each office within OGC. 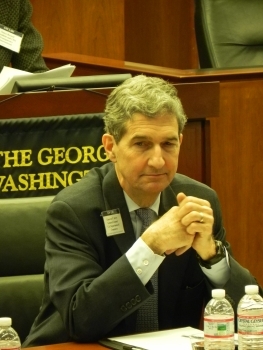 Daniel was instrumental in insuring that Import Administration can, as a matter of domestic law, implement the WTO disputes on zeroing in a coherent process and has been a central player in disputes regarding antidumping and countervailing duty laws. 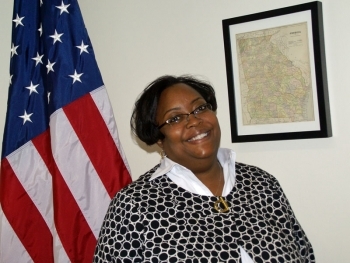 Stephanie performed outstanding work in implementing a new financial disclosure report electronic filing system and the new reporting requirements of the STOCK Act, which were enacted earlier in 2012. On May 24, 2012, the Office of Chief Counsel for Industry and Security (OCC/IS) assisted the Bureau of Industry and Security (BIS) in reaching a settlement agreement under which Ericsson de Panama, S.A. agreed to pay $1.75 million to address 262 violations of the Export Administration Regulations (EAR). BIS charged Ericsson de Panama with implementing a scheme to evade the EAR over a multi-year period, with regard to telecommunications equipment owned by the Cuban Government. The equipment was shipped to Panama, where it was repackaged to conceal its Cuban markings, sent with falsified paperwork to the United States for repair or replacement, and then exported back to Cuba via transshipment through Panama. The equipment involved is controlled under the EAR for national security, anti-terrorism, encryption, and sanctions reasons. The settlement also requires an external audit of all 2012 transactions involving items subject to the EAR that are exported or re-exported to Cuban customers by Ericsson de Panama or any of its corporate affiliates. This settlement represents the latest in BIS’s enforcement efforts to ensure the integrity of the export control system. BIS plays an integral part in advancing the nation’s security, foreign policy, and economic interests, and investigations and settlements like this one uphold this vital mission. OCC/IS represents and supports BIS in all administrative enforcement matters. 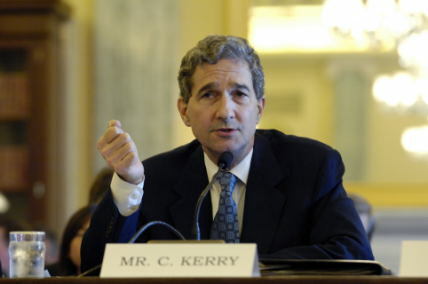 On March 30, 2012 General Counsel Kerry updated prior memoranda implementing the Administration Policy on Scientific Integrity. The update provides additional guidance consistent with the policy recommendations of Dr. John Holdren, Director of the White House Office of Science and Technology Policy (OSTP), who issued an Administration policy on scientific integrity, implementing a Presidential memorandum of March 9, 2009. In particular, the memorandum promotes the accurate and clear presentation of scientific and technological information to the public and further supports the professional development of Department personnel. This memorandum establishes policy directives for the Department of Commerce to ensure the highest integrity of science and scientific products developed and utilized by the Department and its bureaus. The updated memorandum and the December 6th and June 15th memoranda are attached below. The Commercial Law Development Program (CLDP) was created in February, 1992 and on February 23, 2012, the Office of the General Counsel hosted an event to thank the institutions and the individuals who created CLDP and/or helped it grow, and to reflect on lessons learned. 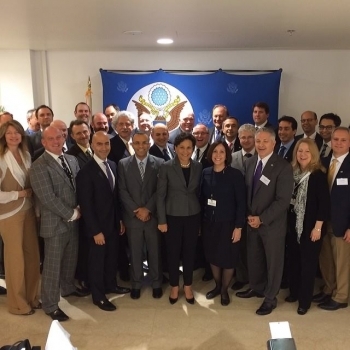 General Counsel Kerry presented awards to several USG officials and private sector experts who have made important contributions to CLDP programs and to the strengthening of the rule of law worldwide. 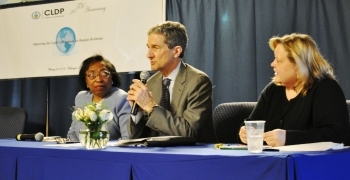 In a discussion moderated by General Counsel Cameron F. Kerry, Judge Bernice B. Donald from the US Court of Appeals for the 6th Circuit, and Judge Delissa Ridgway from the US Court of International Trade, reflected on their experiences doing work for CLDP in many countries over the years. Both judges concluded that the judicial capacity building programs conducted by CLDP have resulted in two significant changes: foreign judges now realize that they can play a significant role in the economic development of their countries; they have now the expertise and the confidence to help bring about the judicial environment, adapted to their country’s specific context, that are conducive to foreign investment and trade. The program also featured remarks by Commerce Secretary Bryson on the importance of a modern and fair commercial law environment for US firms that export or invest overseas, by Ambassador William Taylor, Special Coordinator for Middle East Transitions at the US Department of State, on CLDP’s ability to respond promptly to State’s priorities for technical assistance in commercial law, and by Linda Wells, founder of CLDP, on the genesis and growth of the program. On September 8, the Senate passed the Leahy-Smith America Invents Act (AIA), H.R. 1249, by a vote of 89-9. The bill now will be sent to the President for his signature. This legislation has been a major priority of the Department of Commerce and the Office of General Counsel since the beginning of this Administration. The AIA marks the first comprehensive reform to U.S. patent law in 60 years and transforms the patent system to accommodate the needs of 21st Century inventors and businesses. Reducing fees for small and micro-entities by as much as 75%, which will foster innovation. 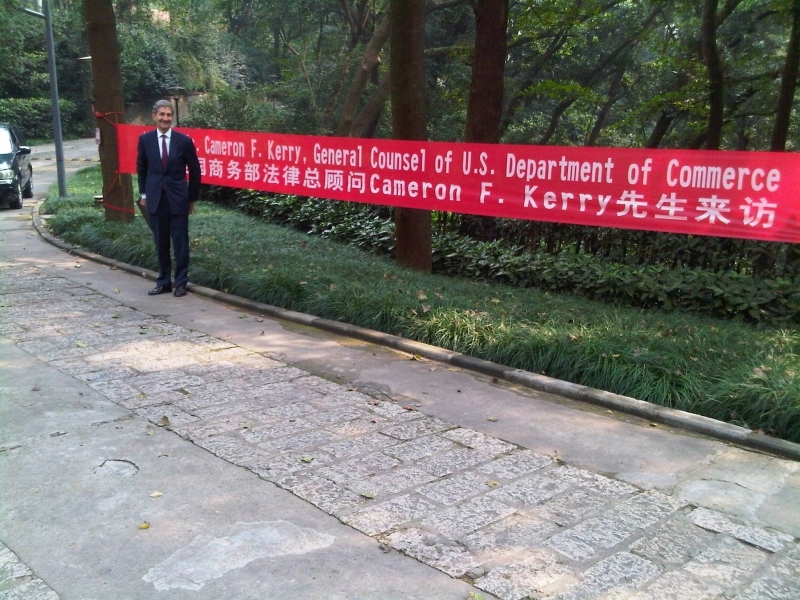 During the week of July 25th, General Counsel Kerry travelled to Beijing to continue discussions with China on the shared goal of addressing bribery of foreign government officials by U.S. and Chinese companies. Following extensive dialogue led by General Counsel Kerry, China amended its criminal code earlier this year to criminalize the bribery of foreign government officials. The United States has criminalized such conduct since 1977 through the Foreign Corrupt Practices Act (FCPA). Now General Counsel Kerry and an interagency team, including representatives of the Departments of Justice and State and the Securities and Exchange Commission, are sharing with Chinese officials how the United States has implemented and enforced the FCPA and are seeking to encourage China to publicize, fully implement, and rigorously enforce their new law. 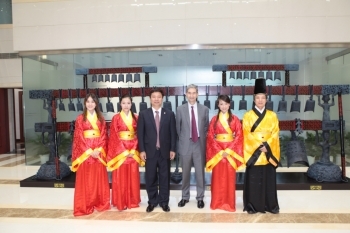 The discussions, held under the auspices of the U.S.-China Joint Liaison Group Anti-Corruption Working Group, also included a roundtable in which U.S. and Chinese companies exchanged ideas about how they prevent and detect corrupt payments to foreign officials through compliance programs within their enterprises. 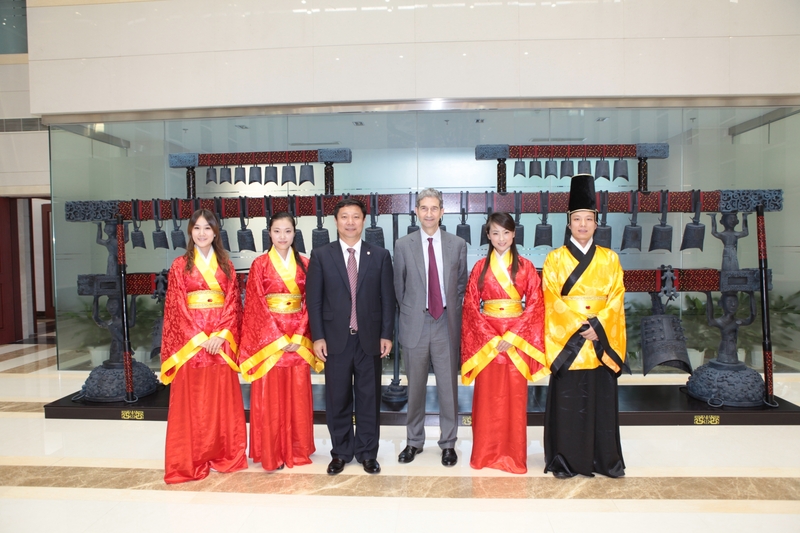 While in Beijing, General Counsel Kerry also met with Ministry of Commerce officials, representatives of the U.S. private sector, and other U.S. and Chinese officials to discuss commercial law issues and intellectual property rights protection and enforcement. On March 22, 2011, DOC General Counsel Kerry spoke at a symposium titled “Toward Coherence in International Economic Law: Perspectives at the 50th Anniversary of the OECD” regarding the Administration’s work in promoting ethical conduct by international businesses. The symposium took place in Washington, DC, and was sponsored by the Organization for Economic Cooperation and Development, the American Society of International Law, and the George Washington International Law Review, in cooperation with the International Law Students Association. 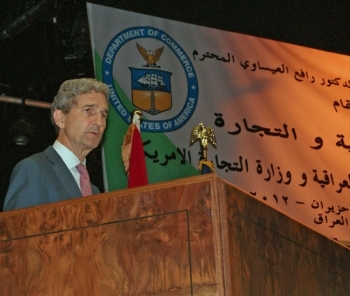 In his remarks, General Counsel Kerry highlighted the work of the Department of Commerce and other U.S. agencies to fight corruption in international business transactions, noting President Obama’s linking of corruption, human rights, and well being, and Secretary Locke’s views about corruption as a barrier to U.S. economic growth. He discussed the Justice Department’s emphasis on enforcement of the Foreign Corrupt Practices Act, the Commerce Department’s engagement with the private sector, his upcoming trip to Doha for a regional conference on integrity in the private sector put on by the Commerce Department’s Commercial Law Development Program, and Commerce’s work (with the Departments of State and Justice) in pressing foreign governments to enact and enforce strong anti-bribery laws. 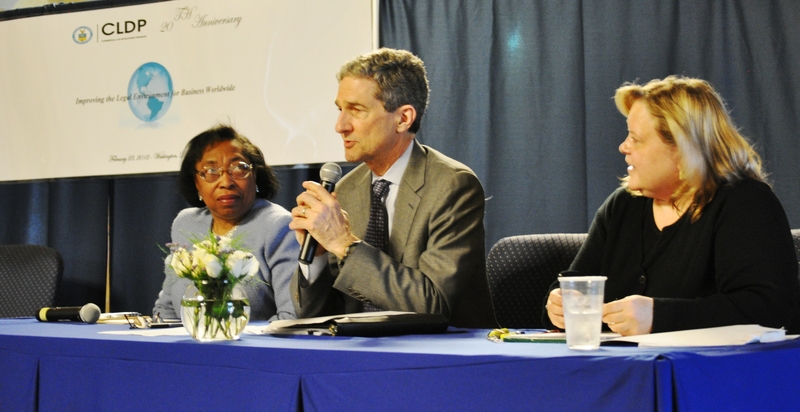 He was joined on the panel by Assistant Secretary of State Jose Fernandez and NGO and private sector representatives. 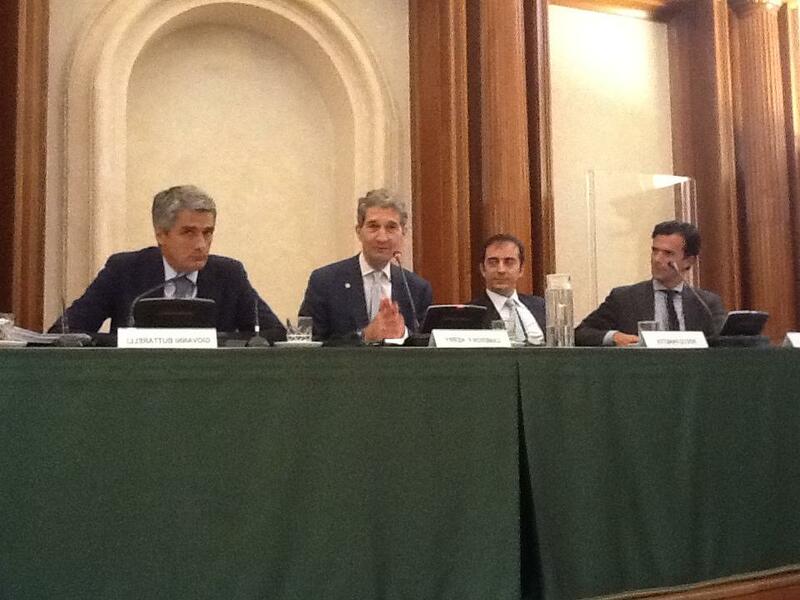 Yesterday, General Counsel Kerry participated in the keynote panel of the 30th Annual OECD Privacy Guidelines Conference. The conference's opening remarks were delivered by Director General Guy Rotkopf of the Israeli Ministry of Justice and OECD Deputy Secretary-General Richard Boucher. 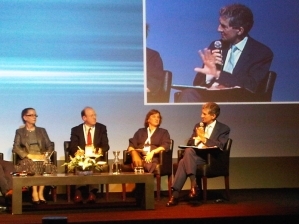 The keynote panel entitled “Privacy in the Context of the Internet -- Recording Everything and Forgetting Nothing?” featured GC Kerry, joined by Jennifer Stoddart, the Privacy Commissioner of Canada; Andrew Wyckoff, Director of Science, the Technology and Industry, OECD; and Marie Shroff, the Privacy Commissioner of New Zealand (as pictured from right to left). The group discussed a broad range of privacy principles and issues facing government officials and policy makers in both the private and public sectors. 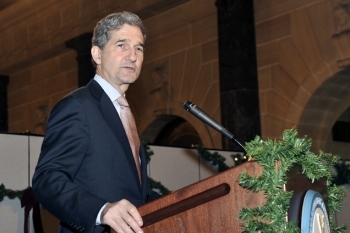 In his remarks, Kerry expressed a desire to create a global environment that fosters meaningful tools to protect privacy. He also focused on developing a policy that will create the trust that is necessary for consumers, industry and government to continue the innovation that has caused tremendous economic growth. The first day of the conference then concluded with closing remarks from Israeli Prime Minister Benjamin Netanyahu. 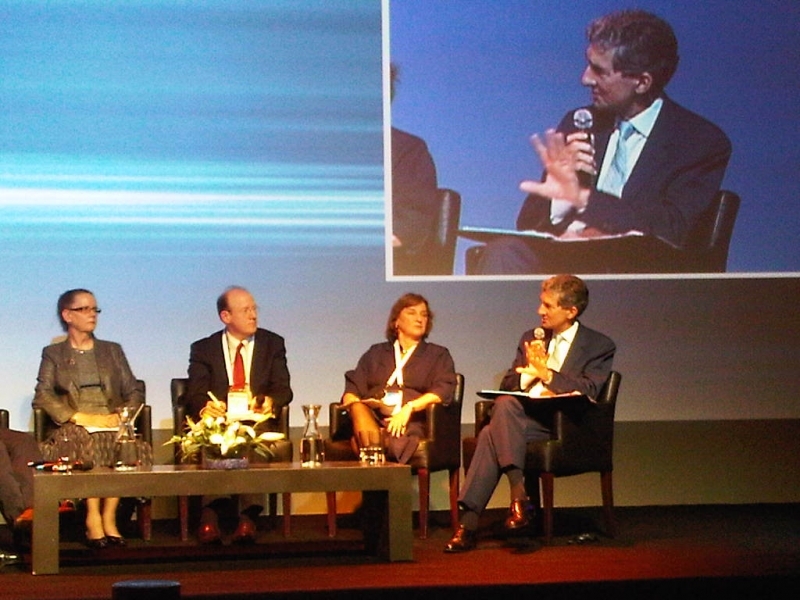 More information on the OECD Privacy Conference here.